A mushroom gathered while foraging in Aptos. 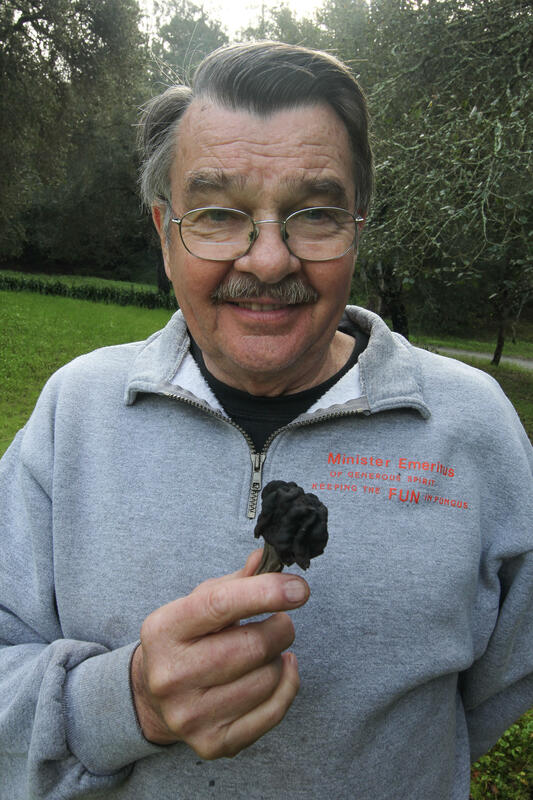 Phil Carpenter has been foraging mushrooms all his life. Dominican Hospital in Santa Cruz has become the epicenter for the treatment of mushroom poisoning in North America. A doctor there began working on a cure a decade ago after a family of six become deathly ill from eating wild mushrooms. To find out how easily that could happen I set out with mushroom forager Phil Carpenter. He’s been mushrooming since he was a kid. Carpenter steps off his front porch and looks around. “There is one right there, there some up there. So let's go ahead and do some walking,” he says as he points to mushrooms scattered across his yard. When he bought this home in Aptos, he specifically looked for a place where he could forage for mushrooms just outside his door. He shows me up a steep hill into his backyard forest. “You really do need to be careful. 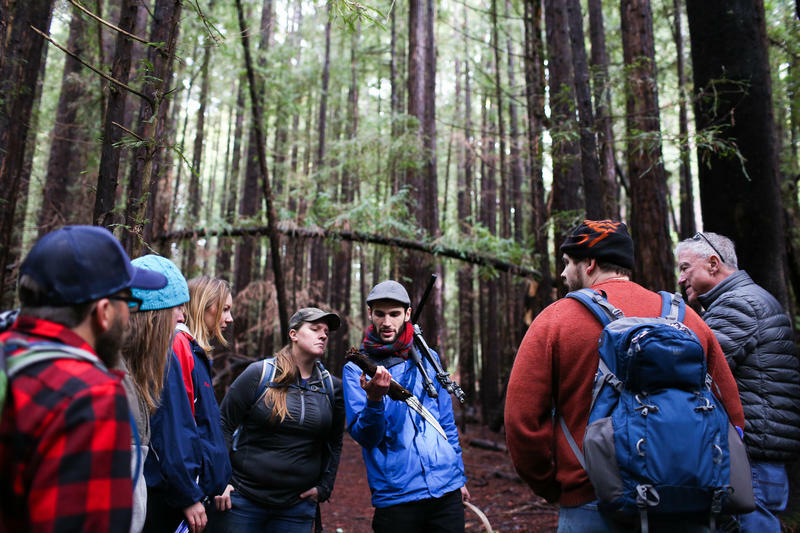 I mean, in California, in Santa Cruz county we figure we have about 3,000 different species of fungi, or mushrooms.” he says. Of those 3,000 mushrooms, only a handful in this area are poisonous. He digs up two mushrooms: one edible, one dangerous. And to me, they look identical. All Amanita mushrooms have these distinct membranes and look the same to the amateur eye. Most are edible. But two are deadly: the Death Cap and the Destroying Angel. What makes them so dangerous is they contain a poison called amatoxin. Even one bite can cause liver failure, requiring a liver transplant or ending in death. At Dominican Hospital in Santa Cruz, Doctor Todd Mitchell has treated dozens of patients with this type poisoning. A decade ago Mitchell began working on a cure for amatoxin mushroom poisoning. He developed what’s called the Santa Cruz Protocol. It outlines step-by-step how to treat patients using an intravenous drug made from milk thistle. Mitchell is now leading a study of the drug, which he says is the first to track the treatment’s success. Mitchell works with other doctors across the country to administer the drug using the Santa Cruz Protocol. His is working to gain approval from the Food and Drug Administration, which he says is not far off. Back at his home in Aptos, mushroom forager Phil Carpenter removes a tray of cookies from the hot oven. Jars of of dry mushrooms fill his kitchen cabinets. He says he eats 50 different kinds. These sugar cookies are baked with candy cap mushrooms. He offers me a cookie, and I take a bite. The cookie tastes sweet with hints of maple. “Did you ever think you would be eating mushrooms in cookies,” Carpenter asks. “No, but I trusted you all along,” I reply. Most of the mushrooms Carpenter eats he finds within a short walk from his home. It’s the benefit of living here and knowing what to look for. 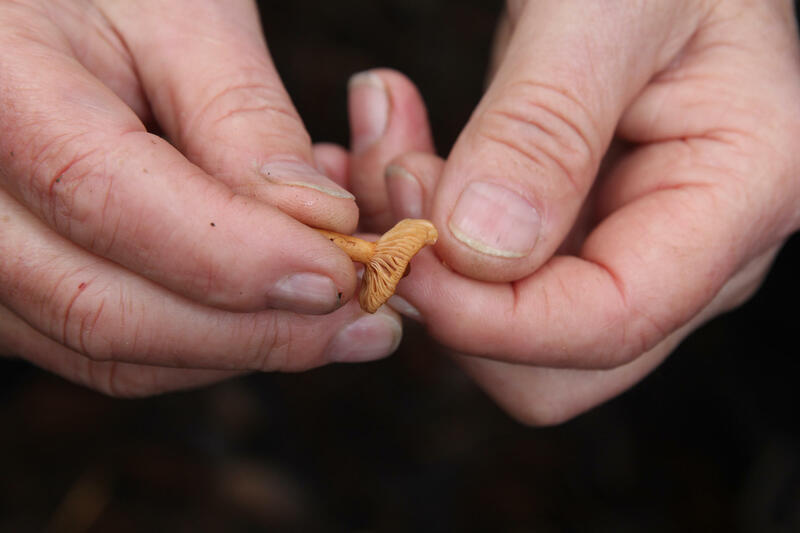 After four years of drought in California, mushroom hunting has all but dried up in Santa Cruz, where the hobby boasts a strong tradition. But now that El Nino-driven storms have arrived, fungi fans are heading back to the forest because when it rains, it spores.